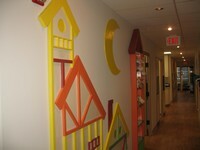 Thank you for allowing us the privilege of providing your child with gentle, excellent, and professional pediatric dental care. Similar to pediatricians in the medical field, pediatric dentists are dental specialists and spend an additional 2 to 3 years after completing dental school to provide comprehensive dental care to infants, children, and adolescents. 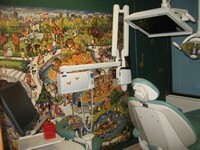 We believe that every child should have the benefit of excellent dental and oral care for health, function and beauty. We also believe that children are unique and special, therefore, the care that we provide for them is based on their individual maturity and emotional needs. Infants, children, and teenagers all need different approaches in dealing with their behavior, guiding their dental growth and development, managing their dental treatment needs, and helping them avoid future dental problems. Ultimately, we strive to foster an environment and provide the experience to help teach children to feel good about taking care of their teeth and seeing the dentist. 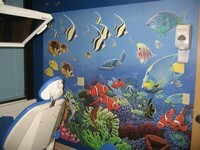 Our office is committed to provide the latest and best dental care. As the science of dentistry expands through research and development of new methods, materials, and equipment, we participate regularly in continuing education and investment of time, energy, and funds to maintain and keep our skills current to benefit your child's dental and physical health. For example, our office is now fully integrated with all digital X-rays which can reduce your child's already safe radiation exposure by up to 90%. We are fully committed to continual education and learning. We attend dental lectures, meetings, and dental conventions to stay informed of new techniques, the latest products, and the newest equipment that a modern dental office can utilize to provide state-of-the-art dental care. Also, being members of various professional dental associations helps us to stay abreast of the changes and recommendations for our profession. 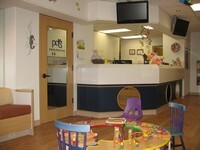 Infection control in our office is also very important to us and protecting your child's health is our top priority. To protect our patients and ourselves, we strictly maintain sterilization and cross contamination processes. Special equipment such as ultrasonic cleaners, steam and heat sterilizers, self-contained water supply, and the use of disposable instruments and materials are used routinely. Our office meets or exceeds ALL the sterilization and infection control guidelines by using standards recommended by the American Dental Association (ADA), the Occupational Safety and Health Administration (OSHA), and the Center for Disease Control (CDC). 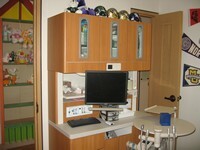 We are very proud of our sterilization program, and we welcome any questions you may have about our methods. As a practice, we are true believers that preventative care and education are the keys to your child's optimal dental health. 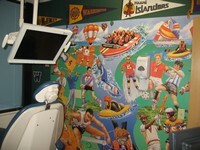 We strive to provide “dental health care” vs. “disease care”. That’s why we focus on thorough exams – checking the overall health of your child's teeth and gums, performing oral cancer exams, and taking x-rays when necessary. 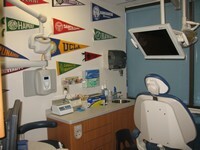 We also know that routine cleanings, flossing, sealants, and fluoride are all helpful in preventing dental disease. Not only are we focused on the beauty of your child's smile, we’re also concerned about their health. A review of their medical history can help us stay informed of their overall health, any new medications, and any illnesses that may impact their dental health. 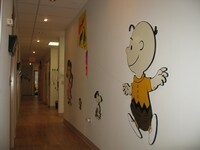 Our office provides emergency care during normal office hours. After regular office hours, please call the main office at 593-8828 and you will be instructed on how to reach your doctors. Our office offers a variety of payment options. For your convenience, we accept personal checks, cash, Mastercard, VISA and Discover. 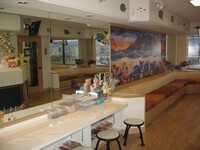 Payment plans can also be arranged and are individualized. 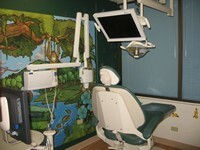 We participate with most dental insurance plans. We try to keep up on the latest insurance trends to help you maximize you insurance benefits. As a courtesy to our patients, we will accept assignment of benefits on most major insurance policies and will prepare and file your claim. 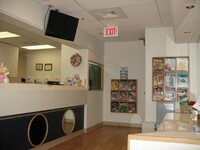 However, we do ask that you pay your deductible, co-payment, or non-covered service portions at the time of your visit. 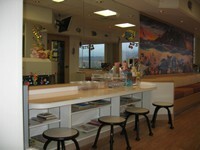 We sincerely trust that you and your child will find the first and all visits to our office comfortable and rewarding. We appreciate your entrusting your child's dental care to us and appreciate your referral of family and friends to our office.